I'm researching fairy tales like Cinderella and how they change from country to country. I'm also interested in themes and how fairy tales affect children. I guess looking at fairy tales in society? 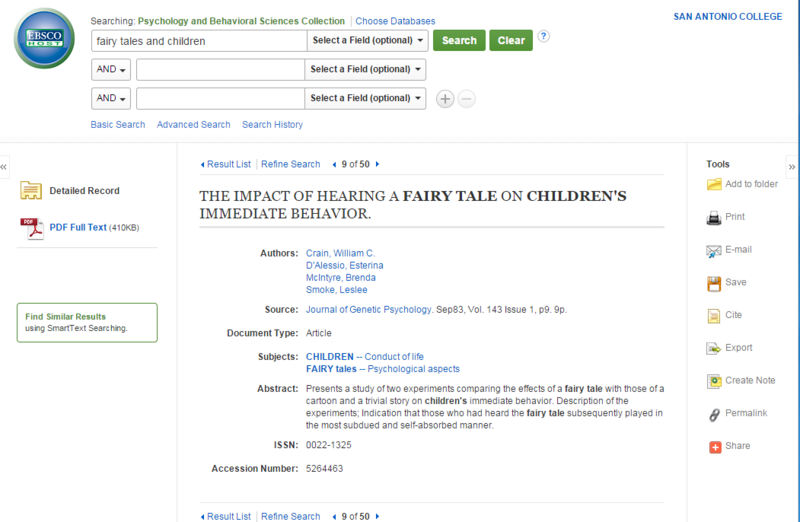 Library Discovery and do a search for: "fairy tales"
1. Look for a specific country and click on it to see individual book titles and locations. When you find each book on the shelf, browse the Table of Contents and the Index in the back to find your fairy tale. 2. If you click on a specific title for a book write down the location and call number! 3. You might also find the categories for "History and Criticism" and "Encyclopedias" useful, so click and explore. 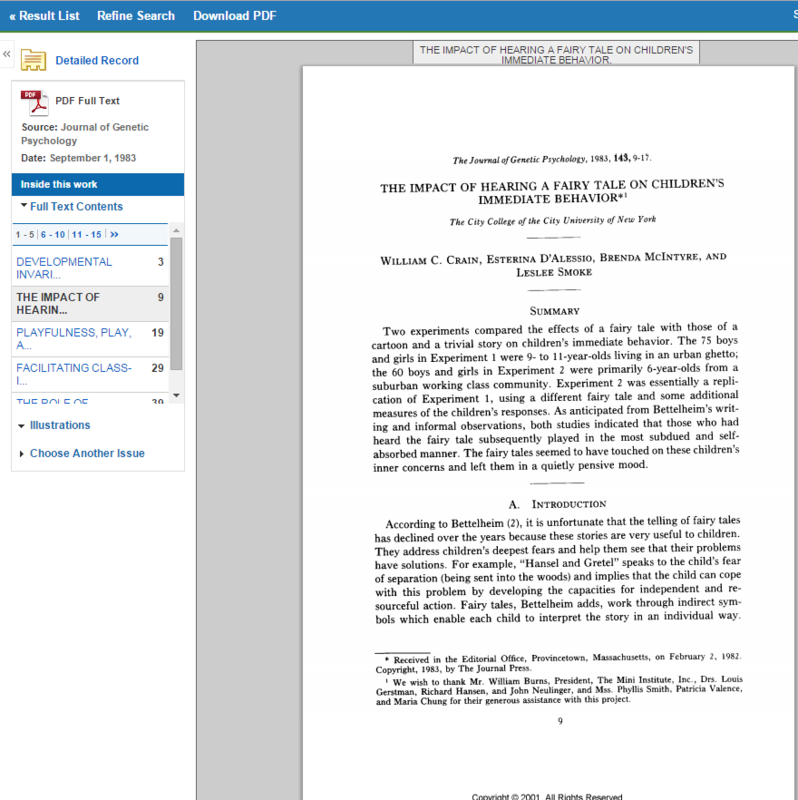 is on online reference ebook where you can search for and find the history of your particular fairy tale. Just browse the ebook alphabetically or click to view the Index in the back. 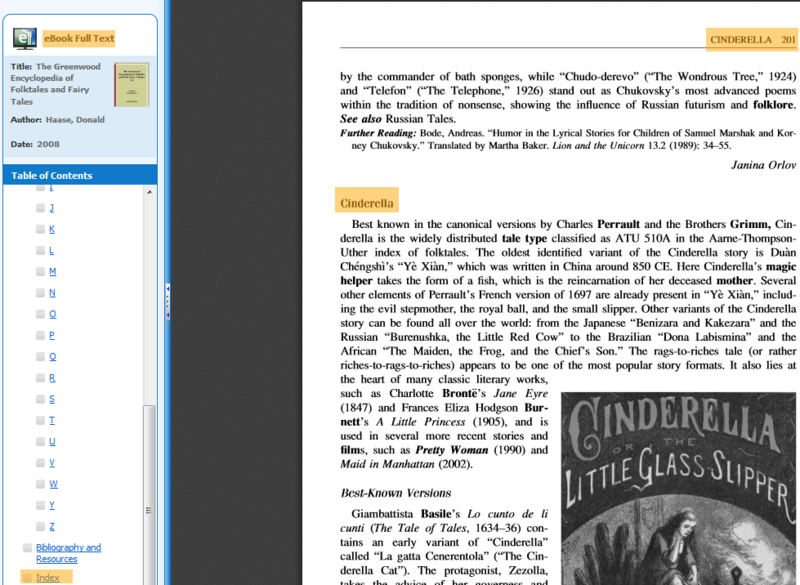 This search finds 15 adaptations of the Cinderella fairy tale. Just click through to see all 15 titles and locations. There are many, many more sources for locating history and criticism and folk tales. Just ask if you need more help! In this article, the authors express the wish that children were introduced to fairy tales. Stories like Hansel and Gretel, for instance, address childhood separation anxiety. Interesting.